Used Honda Pilot DEALS In San Antonio! This is the era of the almighty crossover vehicle, and when you’re shopping for one, you’ll find them in all shapes and sizes, from practically every manufacturer under the sun. You’re probably already familiar with Honda’s offerings in this automotive segment, a trio of well-designed and remarkably equipped crossovers in ascending order from the subcompact HR-V to the compact CR-V to the one we’ll take a look at here: the Pilot. As the big brother of this little family, the Honda Pilot offers seating for up to eight in three spacious rows. It’s ideal for those who do a lot of carpool duty, have bigger cargo needs than anything less could accommodate, or want every family road trip to be comfortable, peaceful, and bicker-free. With a range of comfort, convenience, and entertainment features, the Pilot has something for everyone – and because it’s a Honda, you can trust in its high quality, advanced safety, and strong value. That’s what makes a used Honda Pilot such a good option if a brand-new one isn’t financially prudent for you right now. You can get a pre-owned Pilot for significant cost savings over a new model, which makes all the difference for many vehicle shoppers. And if you choose a recent model year, you won’t even miss out on some of the Pilot’s most desirable and cutting-edge features! You’ll be too busy being impressed by what it does offer. To start your search, simply visit Fernandez Honda’s website and check out our used inventory. We are conveniently located for drivers in and around San Antonio and maintain a great selection of pre-owned vehicles including the Pilot – at prices you’ll love, plus special offers that can make your used Pilot even more budget-friendly. All Pilot model years have Honda quality in common, but the 2016 model is a great place to start your search for the used Pilot that offers a lot of bang for your buck. Fresh off a complete redesign, the 2016 Pilot is packed with state-of-the-art features and amenities that will reaffirm your decision. Plus, you can get it for far less than you would pay for a new model, and without sacrificing much of anything. There’s plenty more to discover in the Pilot, and regardless of which model year you end up choosing or which trim level you decide on, we think you’ll be happy with your choice to buy a used vehicle of this caliber. See what Fernandez Honda has in stock now and make plans to come and see us in person to test drive the vehicles you’re interested in. Remember that our low prices and high-quality vehicles mean that our inventory moves fast, so if you see a Pilot you like, act fast while it’s still here. We’ll be standing by to help you get an amazing deal on this unbeatable three-row crossover. 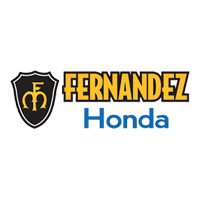 Why Should You Shop Fernandez Honda? At our San Antonio dealership, we’re committed not just to making a sale, but to making sure that our customers remain our customers for life. We do this by offering a great selection, competitive prices, and excellent customer service. From the moment you step through our doors, we’ll do everything it takes to help you find the vehicle you want for the best possible price. Our associates will work with you and your budget to make sure that when you drive away from Fernandez Honda, you drive away happy – behind the wheel of the vehicle you came here for. Our great service extends to our automotive service center, where you can trust our professional technicians to give your vehicle exactly what it needs – whether that’s a simple oil change or more complex work like engine repair – without overcharging. We even offer a range of service specials so that keeping your car running at its best is more affordable than ever. Schedule an appointment online and then trust our service center to take care of the rest.